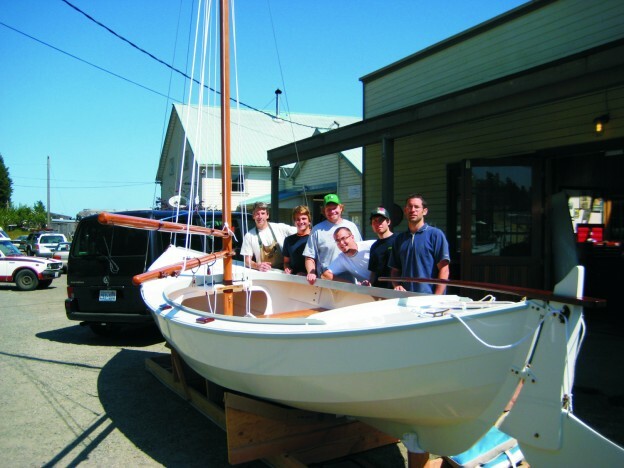 Students of the Northwest School of Wooden Boat Building in Port Townsend, Washington, recently built the Caledonia Yawl, an Ian Oughtred design. The boat was commissioned by the Four Winds Camp on Orcas Island in Puget Sound and is the second one the school has built for them. Instructor Bruce Batchely believes this is the best built boat to come out of the shop so far. They modified the boat to suit the camp’s need for buoyancy and storage, and made the spars hollow to keep the rig light. Master shipwright Bob Prothero worked for fifty years in the wooden boatbuilding industry before founding the Northwest School of Wooden Boat Building. Prothero established the school in 1981 to teach and preserve the skills and crafts associated with traditional wooden boatbuilding techniques unique to Puget Sound. Over a thousand students have graduated from the school’s vocational programs, and thousands more have studied traditional maritime arts at the school’s summer and community workshops. Classes are filled to capacity with students from around the world. Proceeds from the sale of boats like the Caledonia Yawl help to maintain the Northwest School of Boat Building’s diverse programming and devotion to craftsmanship. For more information, visit www.nwboatschool.org. 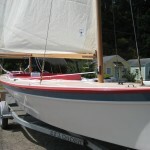 This Atkin sailing canoe design was a real eye catcher for the owner. He commissioned the school to update the boat’s construction by strip planking with 3 8″ × 2″ red cedar, sheathed in 6 oz cloth. The decks were done with 6 mm marine ply, also sheathed in 6 oz cloth and WEST SYSTEM® Epoxy. Both marconi sails were made at the sail loft at the school, Northwest Sails. The standing rigging is S.S. wire by P.T. Rigging. The boat was found to be moderately light and stiff and the owner, who sails the lakes of Colorado and Arizona, was very pleased with it. 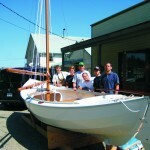 Students of the Northwest School of Wooden Boat Building and the recently built Caledonia Yawl. The “Excelsior” was originally designed by William Atkin as an inexpensive, flat-bottomed cruising canoe. . This entry was posted in Boat Construction, Schools, Wooden Boat Construction and tagged 30, Atkin sailing canoe, Caledonia Yawl, Epoxyworks #30, Ian Oughtred, Northwest School of Wooden Boat Building, Spring 2010 on April 19, 2015 by ewadmin.